One of only two colleges devoted exclusively to the biological sciences, the College of Biological Sciences is a small college within a large public research university. 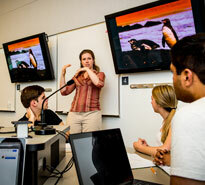 The college offers students the best of both worlds with a commitment to active learning and undergraduate research. College of Biological Sciences faculty conduct basic and applied research relating to human health, agriculture, biotechnology and environmental sciences. They regularly publish discoveries in top scientific journals and are recognized for teaching and research excellence within the University and by national organizations. Our mission: To improve human welfare and global conditions by advancing knowledge of the mechanisms of life through breakthrough discoveries and to prepare today’s students to create the biology of tomorrow. 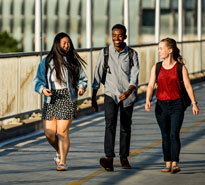 Take a moment to get acquainted with the college, the campus and the cities.